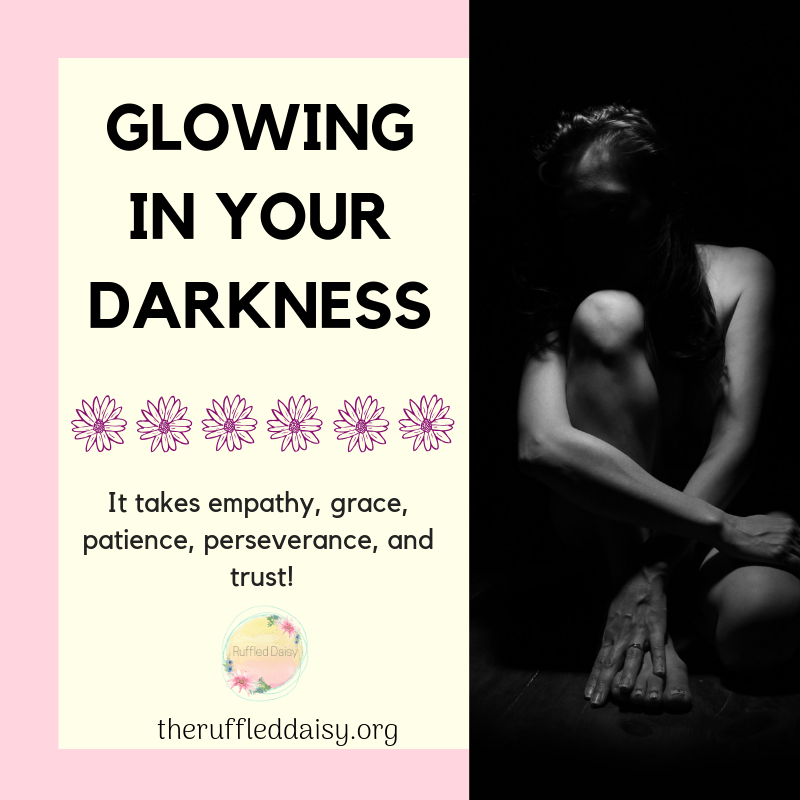 You can glow in your darkness! Screw ups in life happen and some of them we deserve and some of them we wish we could receive a little more grace on. I currently fail my husband, my kids and my friends and family on a daily basis. Some days our selfish pride just seems to show more than others. We all have hard day for lots of reasons. Knowing how to show love to others when you don’t feel like it can be hard. Putting your feelings above others is selfish. Putting other people first is selfless. If we go through another day in my life and never hear the words “selfish” and “selfless” again, it would be a good day! Balancing the two is a huge challenge. Maybe you have it all figured out! Kudos if you do…however, I still struggle. My mind starts screwing with me and the line between the two becomes very blurred and I start questioning everything I say or do even when I am “SURE” of what I think is the right thing. I know I am not alone. I pray that at some point in my life, ALL women will be confident in the interactions they have with others When they are negative, I pray that we are able to discern our beliefs and not let someone else waver our thoughts, unless the Lord is trying to speak to us and heal us. Second-guessing your beliefs and thoughts is detrimental to anyone. Perhaps you’ve known it all along, maybe you even needed to completely break in order to discover this ripe truth, but regardless of the methods—the more you break, the more you become yourself. Only through breaking are you able to see all that is holding you back. Only through the chaos are you able to find your peace, and only through heartbreak are you able to discover the love that has always been within. It is through diving into your pain that you are able to surface into your healing. And so, let yourself sink into everything that has ever caused you pain, each moment and childhood wound, until there is nowhere to go but up into whatever lays waiting for you—you only need to be brave enough to try. To make broken look beautiful means that you never try to hide your scars. 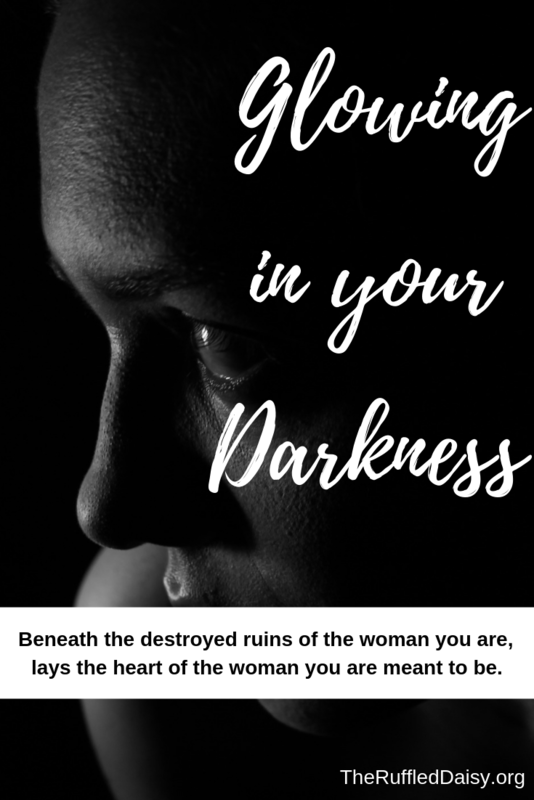 Don’t pretend to be anything other than who you are, and my God, there is nothing more beautiful than a woman who can glow even within the darkness of her own broken pieces. So what can you learn in that darkness? Empathy, grace, patience, perseverance, and trust! There is an honesty that you wouldn’t have seen otherwise! Through darkness comes light, through fear comes love, and through pain comes triumph. This is victory of the human spirit in every one of us. Through your struggles and hardships, you are able to reach deep inside yourself and discover more of who you are. It takes a lot of heat to make a diamond!! Please know that your story will resonate with someone else who is going through a hard time. They will relate. Have grace and exhibit grace.